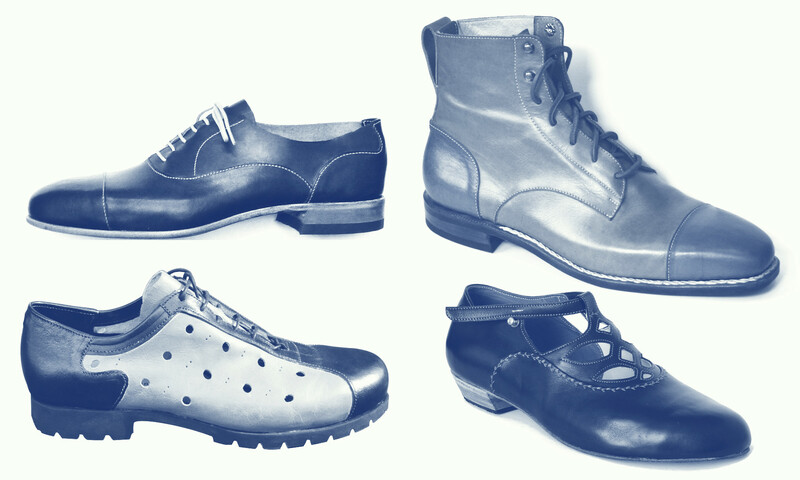 This profile and pattern making workshop is part of a series of shoemaking workshops. Take all the workshops and learn how to make shoes from start to finish, or just the one(s) that interest you. This course is an introduction to shoe design and pattern making. You will learn the basics of drawing footwear designs and how to turn those designs into patterns. We’ll cover the names of shoe parts, elements of design and techniques for creating designs based on lasts. Patterns for the upper are based on the last itself. You will learn how to make profiles from lasts and create pattern templates from the profiles. We will draw and cut the patterns from paper. Cutting and sewing leather (known in the trade as clicking and closing) is covered in the Clicking and Closing workshop. The techniques covered here are not only suitable for making your own shoes, they are in principle the standard methods used everywhere – from small shops like mine to large production factories. Please bring your own last if you have one, otherwise one will be provided.